Every so often you meet amazing people in ordinary places. 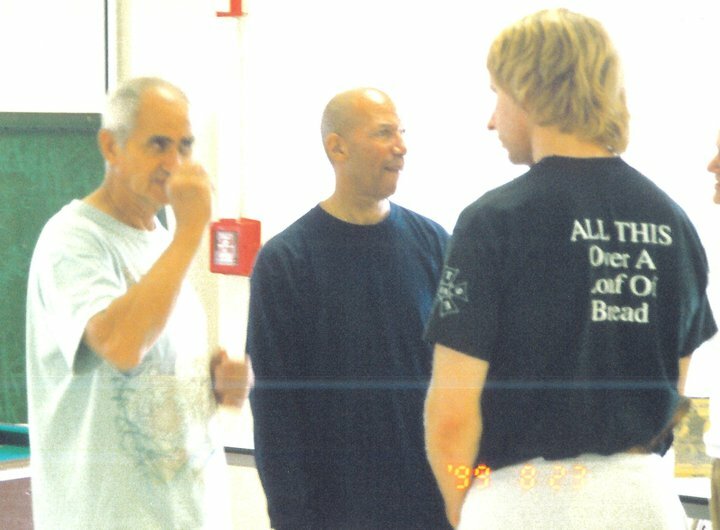 I was lucky to meet Harold Koning at a Dan Inosanto workshop. We were practicing hubud drills and this scholarly man with the demeanor of a college professor was turning my forearms into mash potatoes. The bones in his forearms were like steel. 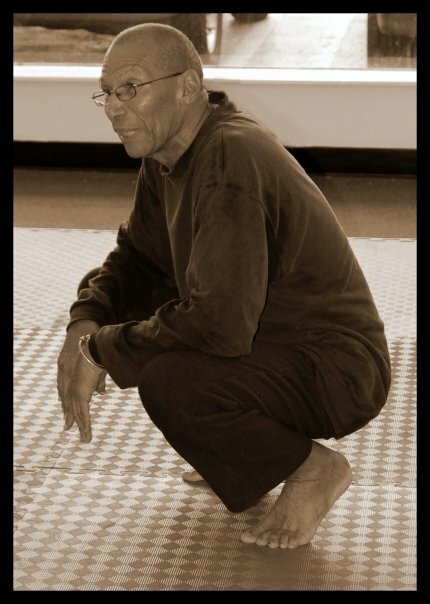 I inquired about his background and he told me that he studied Mustika Kwitang Silat in Amsterdam with George DeGroot. I later became a student and friend. I wrote down every lesson and analyzed how he moved and why. I could never move like him, but his explanations, applications and demonstrations were backed up by explosive force, extreme pain and lightening speed. Let me say I’ve been at this game a while. I’ve been thrown by Larry Hartsell, put in the stocks by Rickson Gracie, held kicking pads for both Chai Sirisute and Cliff Stewart. All of these men are legends. Facing off against Guru Harold is in the same league. His skills are elegant, yet deadly. You have to be tough to train with him. If you can’t take some impact, you are going to quit. 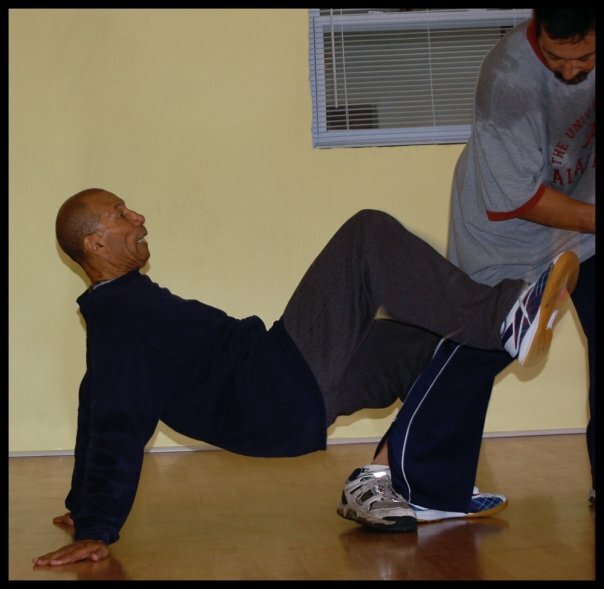 Well Guru Harold is 76 years old and still moves incredibly well. It would be foolish to ignore certain components of his training program and lifestyle since they seem to have effectively allowed him to maintain an unusual level of vigor. I’ll break this down into categories. I’ll elaborate on the fitness based ones but they are all important. Harold is a Sociologist and Doctor of Psychology. He coaches people via Skype on personal performance and stress management. 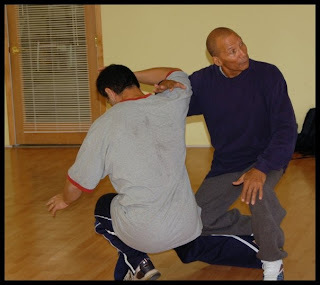 He also gives workshops on Chi Gung. His schedule looks like this as best I can remember. 1. Chi Gung – to address the spirit and life energy, daily. 2. Guitar and Drum practice – to address his presence as a musician. 3. Physical Training – to address his role as an athlete. 4. Time with family/friends – to address his role with others. Harold started with Western Boxing in Surinam in I believe 1957. He still uses the tools of Bag Work, Rope Work and Body Work. 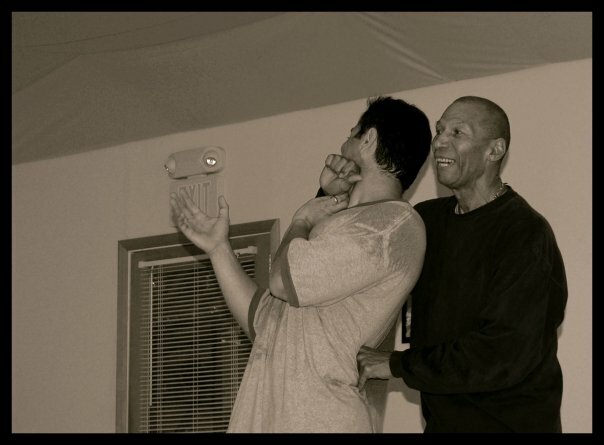 He also practiced a type of Indian Wrestling [East Indian]. To this Harold includes time on the ground exercises. 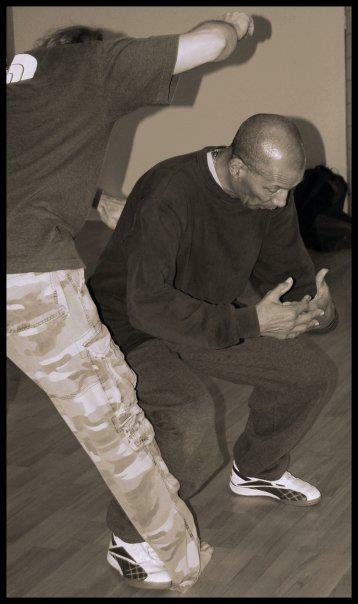 In Amsterdam, Harold trained boxing, kickboxing and Kenpo. He still uses the old school karate implements of kicking bag, leg weights, pulleys for stretching and light weights for shoulder work. The journey into Silat was with George DeGroot. Pak Degroot was not only a Silat man, but a boxer as well. Hard contact was not unusual. The silat based drills include high repetition calisthenics for the lower and upper body, followed by stretching for those regions. Kind of heat up the area, then stretch it to get the proper range of motion. Like being a blacksmith and tempering your muscles. Extensive use of open hand and finger based strikes means that your fingers have to be strong from fingertip pushups, playing guitar and drumming. Any trip of a few miles or less are done by bicycle. Regular kayaking in the canals of western Fort Lauderdale is done as well. Therefore long, slow, distance aerobics are covered in a way that is also a stress reducer. Weights are used for shoulder work with dumbbells, some thigh work and leg weights to build the hips for kicking, sweeping and trapping. Mobility drills for waist, shoulders, hips, ankles, knees, neck, etc. Leg drills, body weight squats, lunges and some drills unique to silat. Sapu, beset, puter, langka and djuru. Bag work, rope work and abdominal work. Some weight work. Mainly pressing, laterals, etc. Some done from kneeling. Stretching and more leg work. The amount of high repetitions can be crippling in the leg work. Each set is punctuated by stretching the leg muscles as they saturate with blood. The basics,.. Leg work, strikes, abdominal are done often and varied. He’s been doing this since he was age 14. Diet is a fairly high carbohydrate mix of Surinam based and Cuban style foods. Harold maintains a weight only a few pounds off of his boxing weight he carried as a young adult. He’s a light eater. From personal experience he’s like a lot of silat men. They are similar to spice, getting more fiery with age. Photos are all by Andrea Abarca. Last photo of Willem DeThouars and Harold Koning is by Glenn Harris. Dr. Harold Koning is a Social Psychologist. He was born in Surinam and taught International Relations in Amsterdam. He also lived in Djakarta, Indonesia. He is a boxer, kickboxer, Kenpo Black Belt and Silat Guru. As an international traveler he speaks many languages, is a master drummer, flamenco guitar player, Chi Gung instructor and spiritual leader.